The Forest of Trials has been invaded by the pumpkin monsters. 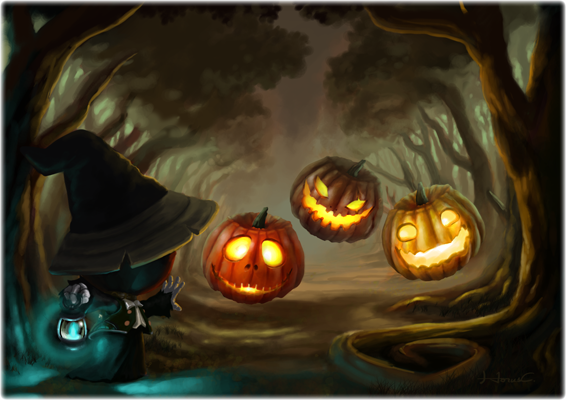 Many of the smaller inhabitants of the forest have been transformed into pumpkins. The Principle is relying on Pumpkin Parker to eliminate the pumpkins and find enough meaning in his life to free him from the curse of the pumpkin fairy!